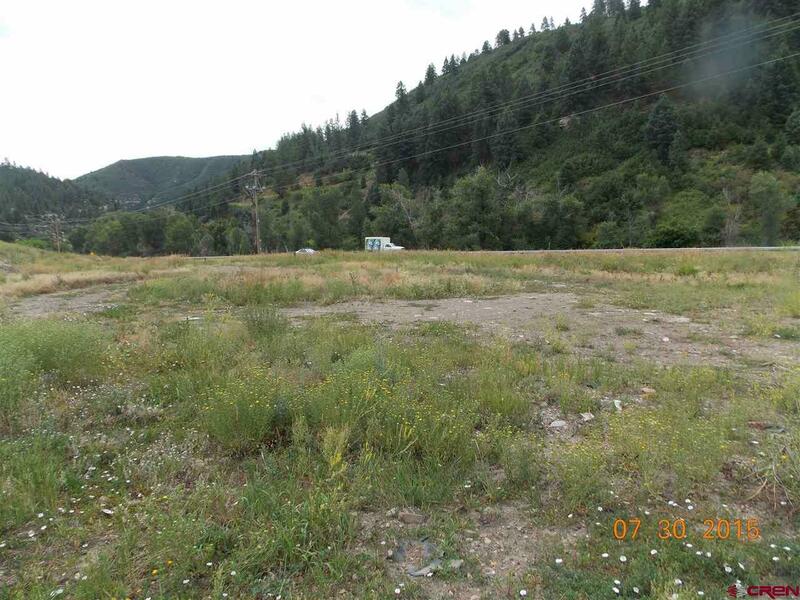 Commercial 1.03 acre property on Hwy 160, 3 miles west of Durango, used as a storage yard. 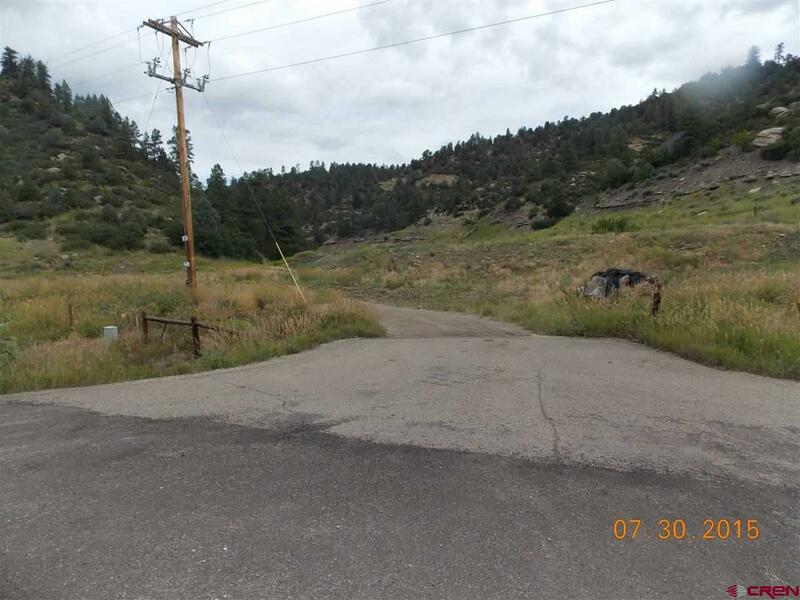 The Colorado Department Of Transportation access permit for a "storage yard" which could build up to a 30' X 100' Storage shed is subject to LaPlata County final approval. 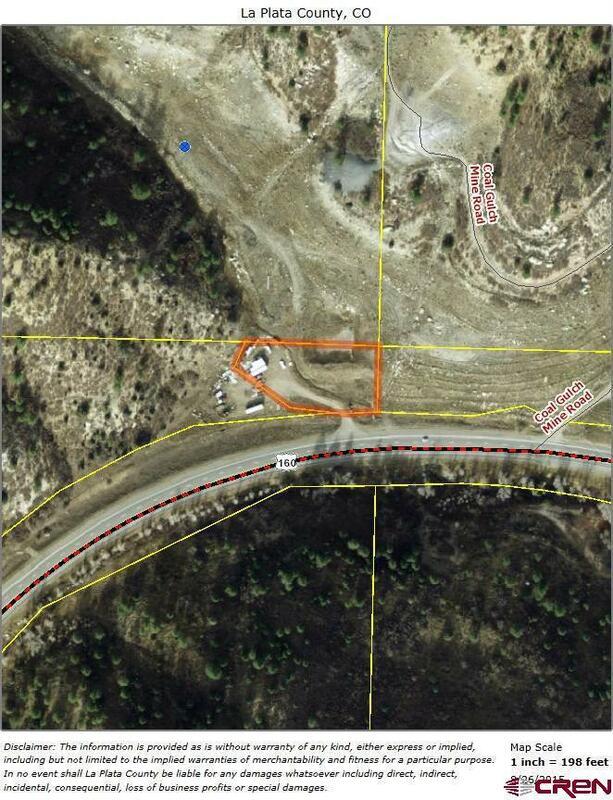 The county will also require all improvements be kept 50 feet from the natural flood-way of the canyon, plus will require landscaping along the Highway 160 frontage similar to the neighboring property. 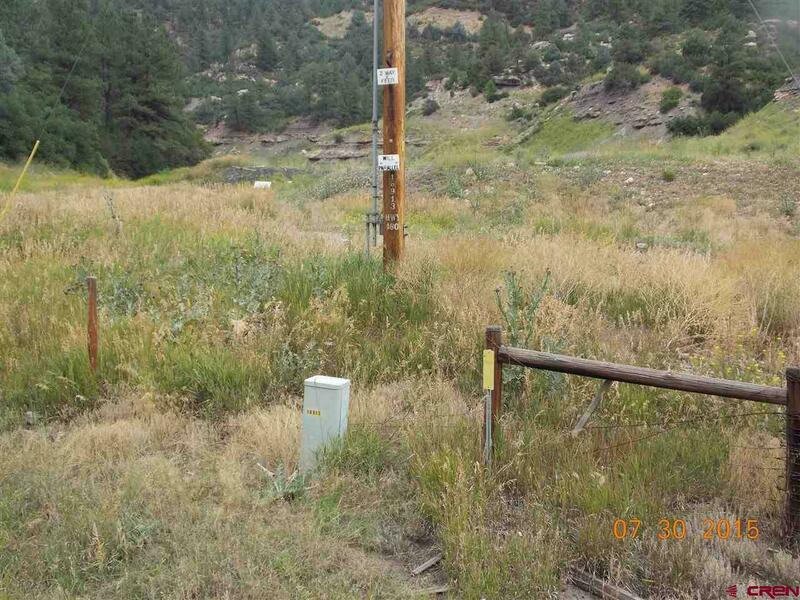 High visibility Highway 160 property with LPEA electric to boundary. There are Seller financing terms for available for qualified purchasers with 20% down payment. The property is available for lease fro vehicle storage for $400 per month.